Scientists in Switzerland have discovered that more silver nanoparticles in clothing are released the first time they are washed than when they are sent to landfill. 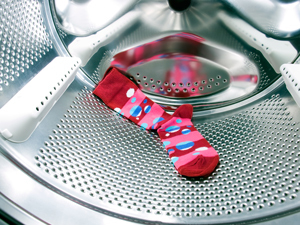 Nanosilver’s antimicrobial properties often see it added to textiles, including socks and sportswear. Making, washing and disposing of the clothing can release the silver into the environment. Despite posing a low risk to humans, silver ions are toxic to many aquatic organisms and can accumulate in the food chain. Read the full ChemistryWorld article here.